Naturally nourishing and cleansing to leave hair and scalp healthy. For all hair types especially fine to normal. Aromatherapy of Pure Orange and Tangerine. Aloe Vera Gel – The ultimate healing plant most effective on skin and hair. Fennel Seed – Extends all hair color vibrancy by killing excess peroxide and ammonia residue left over after color services. 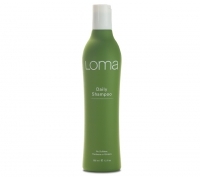 To Use: Wet hair, apply desired amount, lather, rinse and follow with Daily Conditioner.